Along the southern shores of Geist Reservoir in southeastern Hamilton County is the beautiful Cambridge (also known as Springs of Cambridge) neighborhood. 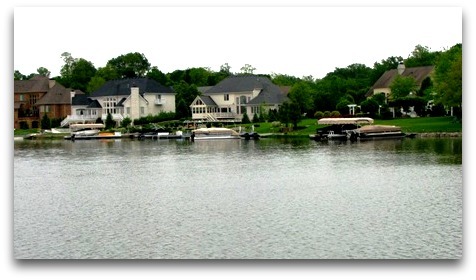 Many of these elegant, custom-built homes sit on waterfront lots with spectacular Geist views. The neighborhood also features walking paths and playgrounds, and is just a short boat ride away from Geist Marina restaurants and shops. Although technically located in McCordsville, Cambridge is considered part of Fishers, and residents enjoy all the amenities Fishers offers, including top-ranked Hamilton Southeastern Schools. You'll find the newest Cambridge real estate listings below. To search all Fishers homes for sale or any other Indianapolis area real estate, just sign up for our automated property search. You'll receive up-to-the-minute updates on homes that match your search criteria. Note: School boundaries in Fishers change frequently due to population growth. Exact school assignment notations on this website may not immediately reflect such a change. Please confirm school assignments at the district website at www.hse.k12.in.us.